Water plays a huge part in our lives. Some water tastes like the town where we grew up, some reminds us of the way water tasted when we visited grandma in the village family home. The taste of water can instantly transport us miles and years away! So, it’s no wonder that when it comes to water, we all have our unique preferences. Some people prefer their water smooth, some fruity, and some even salty and metallic, but that is a rather simplistic understanding of water taste profiles. Now, however, there are real world water experts out there. 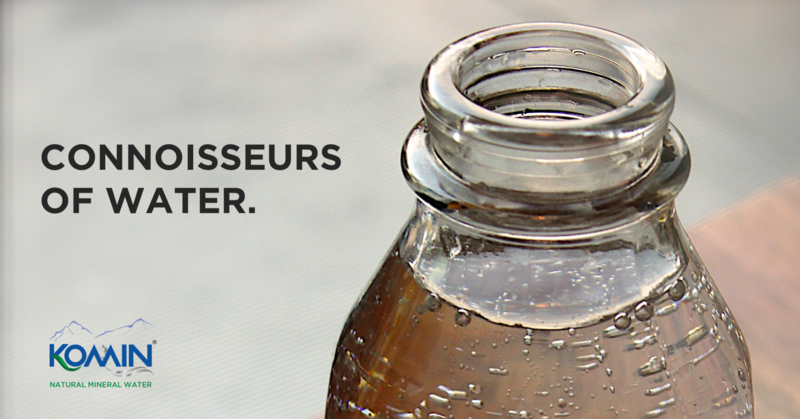 Yes, we’re talking about water sommeliers. Let’s begin with stating a fact: all water isn’t the same. Water isn’t even just water. Depending on where your water comes from, it has differing amounts of minerals and salts dissolved in it, it has differing pH values, differing nature, differing levels of purity and of course, differing taste profiles! Water sommeliers are water experts who taste and profile water, based on its region and depth of origin or its ‘terroir’, the composition and amount of Total Dissolved Solids (TDS) and as a result the taste it has. TDS levels can be as low as 40 (Norway) to 7400 (Slovenia)! The taste of water has quite an impact on everything we eat or drink. It affects the taste of the food that is cooked in it, the cocktails that are made with it, and even affects the results of wine and beer production! Wine sommeliers study all this and more. A fairly new and upcoming field of study and practice, water tasting is fast gaining traction all over the world. Martin Riese, Jessica Altieri and John Zhu are some of the world’s leading water sommeliers. A few years ago, Riese painstakingly developed a 44-page water menu, listing 20 different kinds of water, along with food and cocktail pairings! Today, there are opportunities out there to learn more about water for all those interested. Organisations such as Fine Water Academy, Doemens Academy and Purelogica Academy offer both online and physical certification courses where you can discover the multitude of nuances that every glass of water holds. The already established water sommeliers of the world also have their own workshops where they help you explore and understand the wide variety of water. Now, scepticism is not only expected, but it’s also healthy. In fact, Riese, the first water sommelier in the world, says that people who attend his water tasting workshops are often sceptical to start off as well. As the workshops progress, however, and as his evaluation is supported by each sample of water they taste, they are more open to the wonders of the water world. So, try and taste as many different waters as you can, and pick your favourite! In case you’re a stickler for doing things the proper way, enrol in an online water sommelier course today! Previous PostPrevious Water: Where’s Yours From?